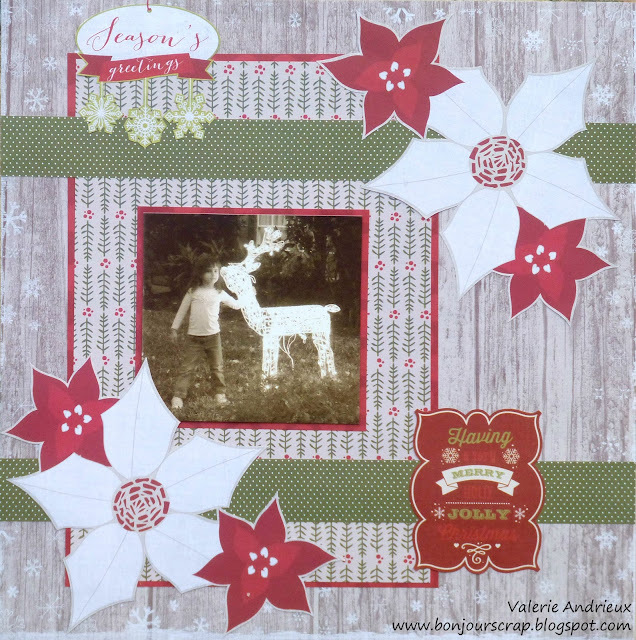 I used only papers for this layout, from the All about Christmas stack by DCWV, except for the bottom tag (Holidays letter stack). The poinsettias and the tags were cut out from different sheet to be placed on the page. 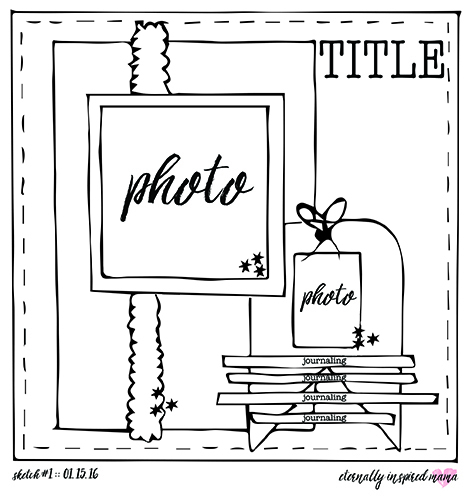 You could use the sketch to enter the monthly challenge on the DCWV blog, there's a prize to win ! I hope you had a good start at 2017, I wish you a fantastic year to come ! Cute page! Love the photo and poinsettias!